Offering an outdoor pool, Apartamentos Fernando is located in Patroves, 5.8 km from Praia dos Pescadores beach. Free WiFi access is available in public areas. Each unit includes a small kitchenette with a microwave and a refrigerator. Solar De São João is situated in a popular, yet quiet, area of the Algarve. It is a few minutes’ walk from Praia da Oura and has 2 outdoor pools. The self-catering accommodation offers a microwave and refrigerator in the kitchenette. 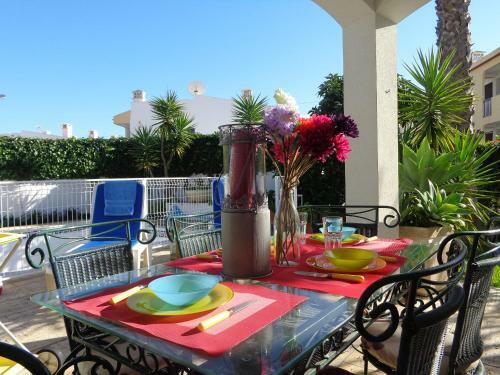 V3 Mar is a holiday home set in Albufeira in the Algarve Region and is 800 metres from Oura Beach. It provides free private parking. Free WiFi is featured . Other facilities at V3 Mar include an outdoor pool. Solar Veiguinha offers self-contained accommodation among landscaped gardens and a large pool with sun terrace and loungers. It features nearby golfing facilities and an on-site bicycle rental to discover Albufeira.